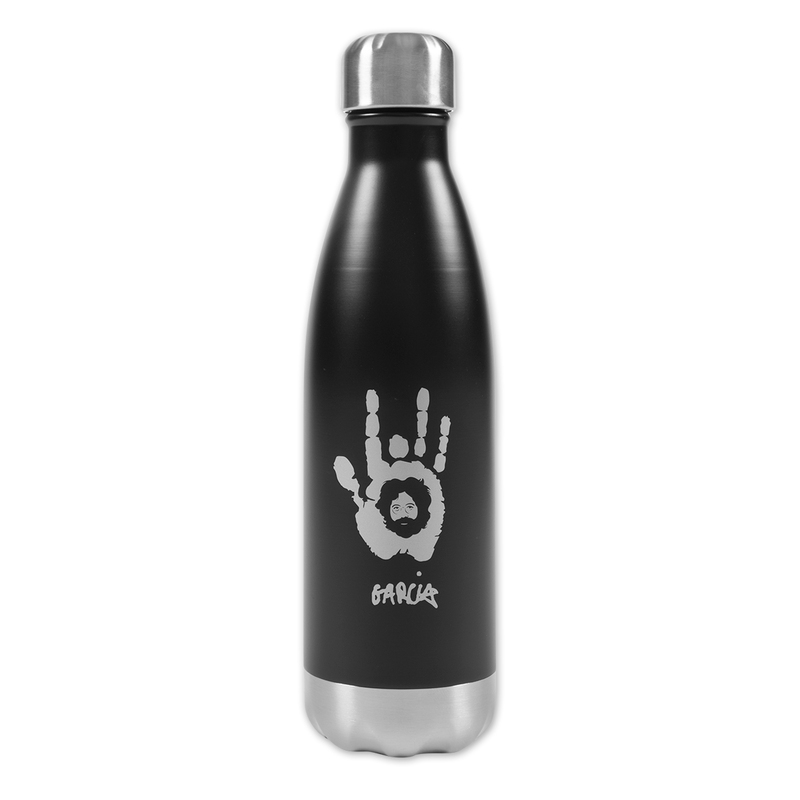 Eco-friendly 17-ounce double wall, 18/8 stainless steel thermal water bottle that displays an illustration of Jerry within his iconic handprint. Features cooper vacuum insulation and a threaded stainless steel lid. Price made me think twice, but I bought two Jerry Thermal Water Bottles--and boy am I glad. These are beautiful, high-quality bottles. They hold 16oz plus a sip or two. Pure, cool water tastes pure and cool, even after the bottle has sat in a hot car for hours. Hot coffee, even five hours later is still hot! Even after taking the top off, it stays pretty hot. The bottle fits well in my car cup holders and is a nice size for carrying. This is a classy, healthy, usable piece of gear that's worthy of the Garcia name. Thanks!